Set against a spectacular skyline backdrop, enjoy incomparable amenities both inside and outside your home at Towers of Windsor Park Apartment Homes. 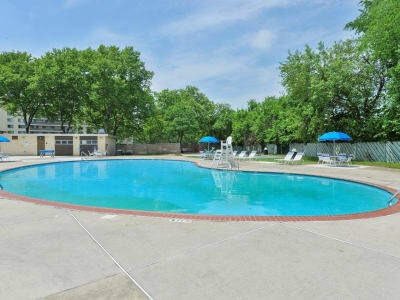 Situated in Cherry Hill, NJ, our suburban apartments for rent offer an exceptional living experience with easy access to the city. Featuring a spacious floor plan with all utilities included and a long list of desirable features, your home is crafted for inspired modern living. Outside your apartment, you can unwind however you like. Take a dip in the beautiful outdoor swimming pool or lounge the day away on the resort-inspired sundeck. Perfect your morning workout routine at the modern 24-hour fitness center. Our pet-friendly community also boasts a sprawling on-site dog park with agility equipment where you and your pup can practice your skills. For high-end amenities inside and out, make your home at Towers of Windsor Park Apartment Homes in Cherry Hill, NJ.